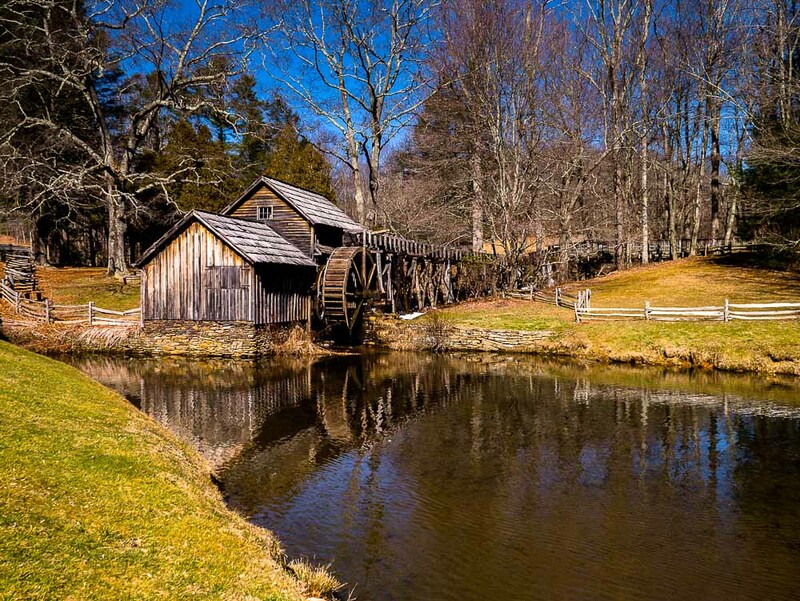 This is probably one of the most “photographed” attractions along the Blue Ridge Parkway in Virginia and NOrth Carolina. Whenever I go past, I MUST stop to capture an image…at least one, usually more. 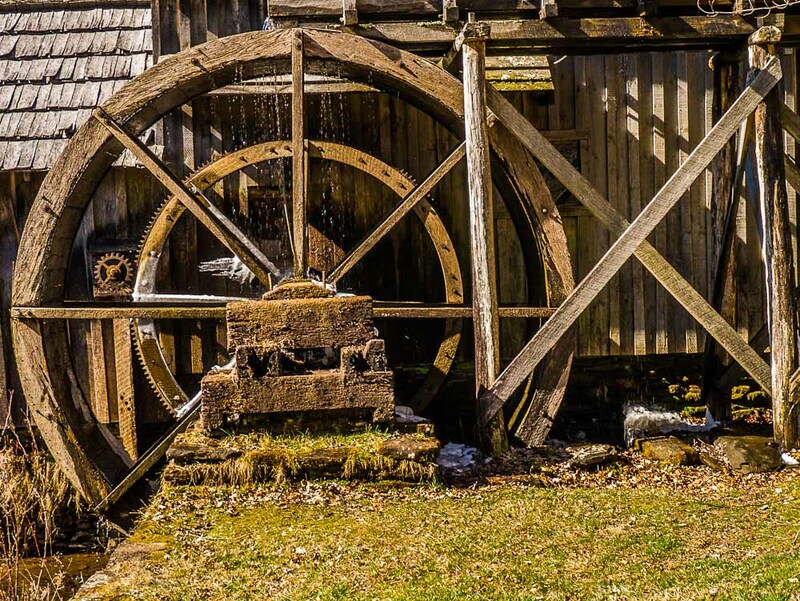 There is a restaurant adjacent to the old mill and it’s adjacent structures and attractions, and during summer weekends there are exhibitions given by artisans who demonstrate how milling and farming tasks were done in times past. Hard to find a place to park then. But in the winter months, the place is essentially deserted, as it was the day I was there for this photo opportunity.